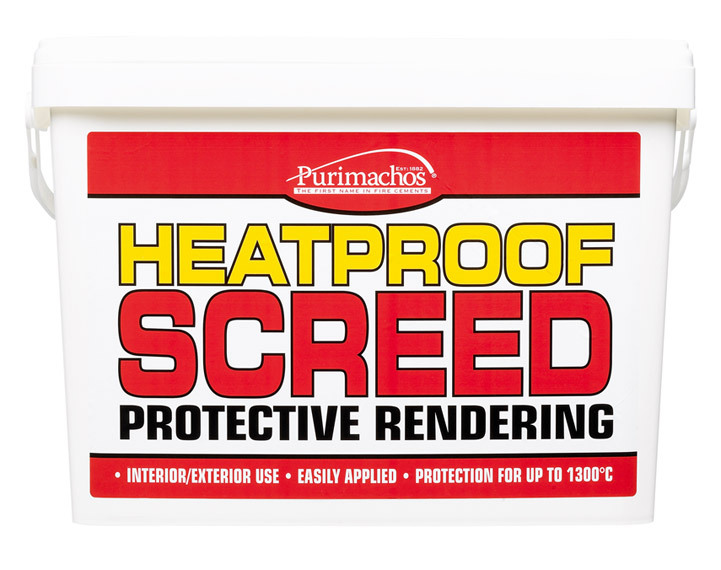 Heatproof Screed is a cement like material which provides a protective rendering for brick, stone and other vulnerable materials which can be damaged by exposure to heat. It is a fully blended composition, with a maximum grain size of 3mm, and will mix with water to a trowellable consistency. It has a maximum service temperature of 1300Ã‚Â°C, which is more than adequate for most domestic applications.